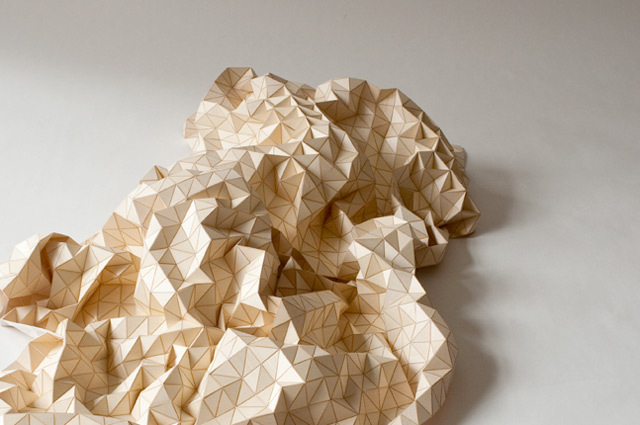 Initially upon seeing this you might think that it could be paper, but in fact it’s actually wood. 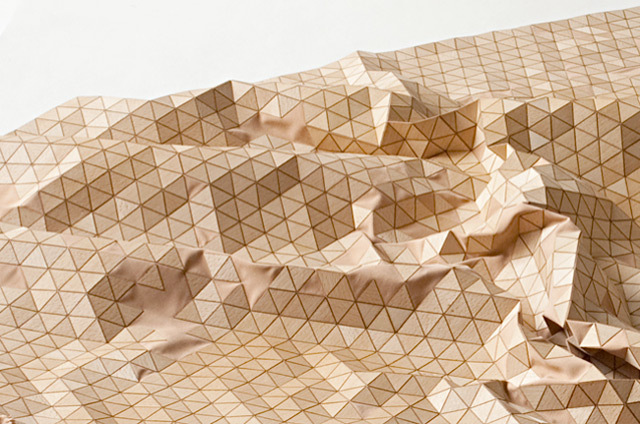 Elisa Strozyk is a German based textile designer who has been researching ways to provide wood with textile properties in testing methods to make wood flexible and soft, or interweave textile elements. 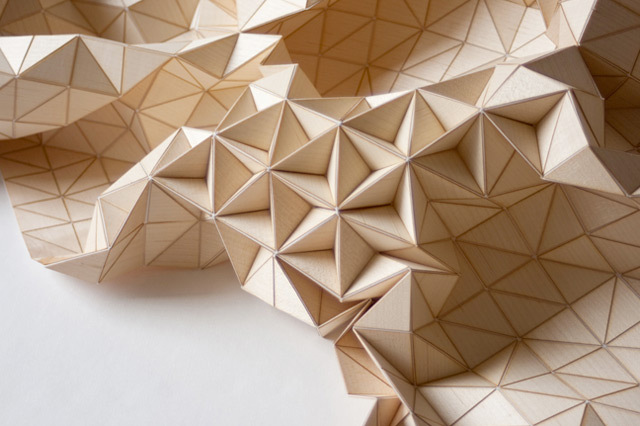 One of the processes to design a flexible wooden surface is its deconstruction into pieces, which are then attached to a textile base. 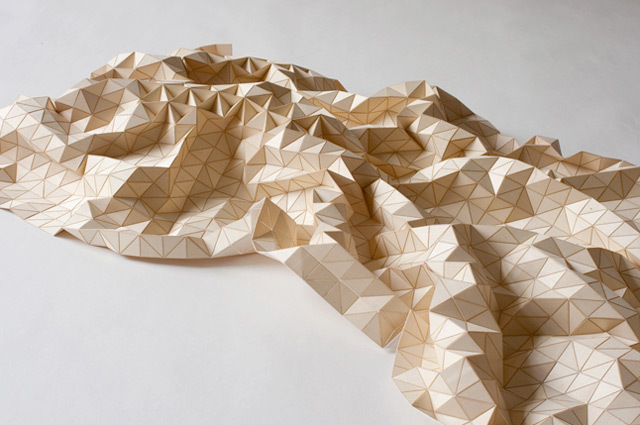 The wood is cut by hand or laser cut, and all tiles are stuck by hand to compose a textile-like surface. 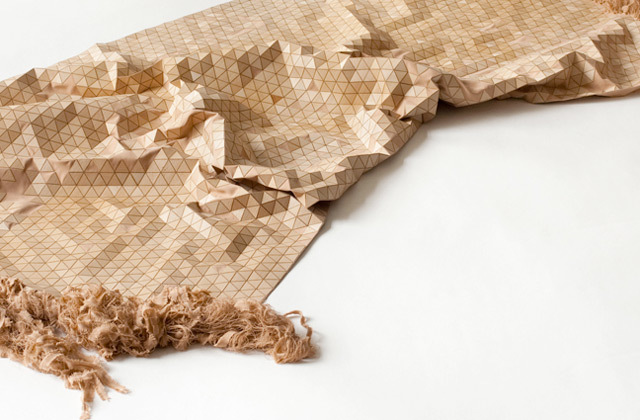 In response to our way of life becoming more immaterial in a digital age, she has created these diverse wooden textiles that can be easily manipulated with slight movement which in turn give more meaning and value back into the object itself. 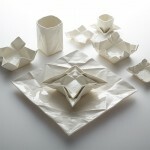 This entry was posted in interior design, notsostrictly, product design and tagged berlin, elisa strozyk, germany, notsostrictly, textile design. Bookmark the permalink.